Hinckley & Rugby Building Society is committed to providing an extensive range of competitive savings accounts and mortgage schemes and, as a mutual organisation, to providing the highest standards of customer service. If you like to be known by your name rather than a number we think you will enjoy the service you receive at Hinckley & Rugby Building Society. 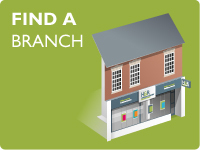 Whether you decide to deal with us in person in one of our inviting newly refurbished branches and agencies, by telephone or even by post, the service you receive will be the same – personal, professional and informed. We have friendly, efficient, well trained staff who are always happy to help. 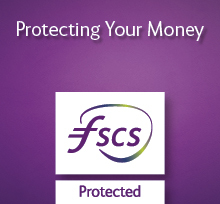 If you are thinking of opening one of our competitive savings accounts pop in and speak to us. We won’t demand you make an appointment. 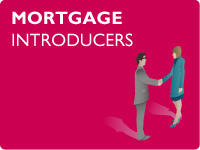 If you apply for a mortgage, you will deal with one of our team based at our Principal Office in Hinckley. They will get to know you and your circumstances and will personally help you throughout the process, because we know that is what you expect and deserve. What’s more, we don’t leave it to machines to answer our phones. You will not be asked to press buttons to direct you to where you need to be; we prefer to talk to you from the moment you call. It’s our refreshing approach to customer service and easy to understand products and services that help us build and maintain life-long relationships and continually receive positive feedback from our questionnaires. It’s in our interests to look after our members. After all, as a mutual society, they are our owners and help decide how the Society is run. It is with this in mind that the Society gives back to the communities it serves – not only through its competitive products and services, but also with its commitment to being actively involved, making regular donations and contributions to many charities, individuals and projects. The Society prides itself on being involved with many community-based activities, in particular its close association with and membership of Leicestershire Cares, which fosters links between businesses and local people and organisations in need of help. We strive to make all our services available to everyone – more information about accessibility can be found here. You can confirm Hinckley & Rugby’s registration on the FCA’s website or by contacting the FCA on 0800 111 6768.